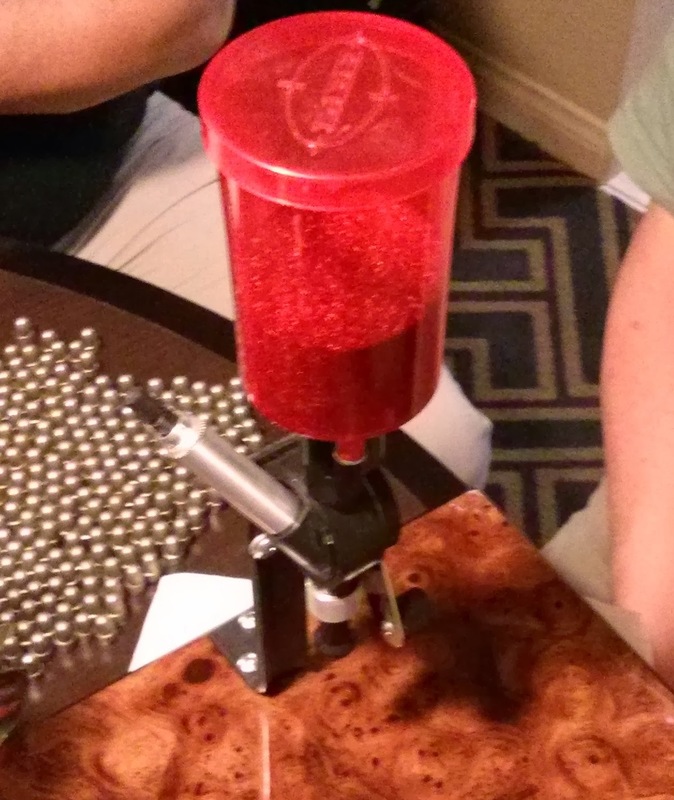 This is my first experience with reloading ammunition. Due to the rising costs of ammunition, I continue to hear of more and more people reloading, just to keep target practice costs reasonable. This is even more appealing when your particular caliber cannot be found on any shelves, due to stock shortages. 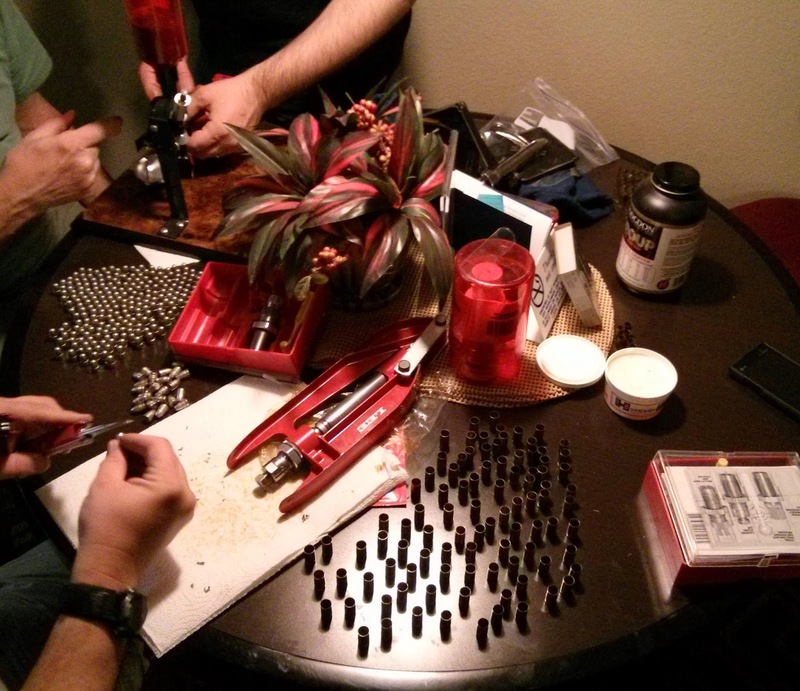 Reloading is bit of a long process, but kind of cathartic. Having multiple people working on the parallel tasks significantly reduces total completion time. There is an upfront cost. The reloading kits run in the several hundred dollar range. 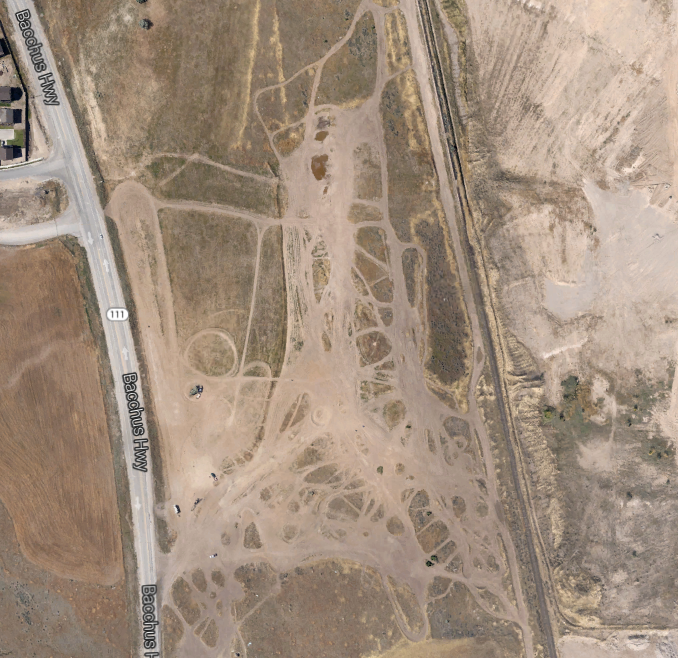 As mentioned before, having several people work in parallel greatly reduces the completion time. So, the recommendation is to buy the kit as a family or group of friends, and have occasional reloading parties. 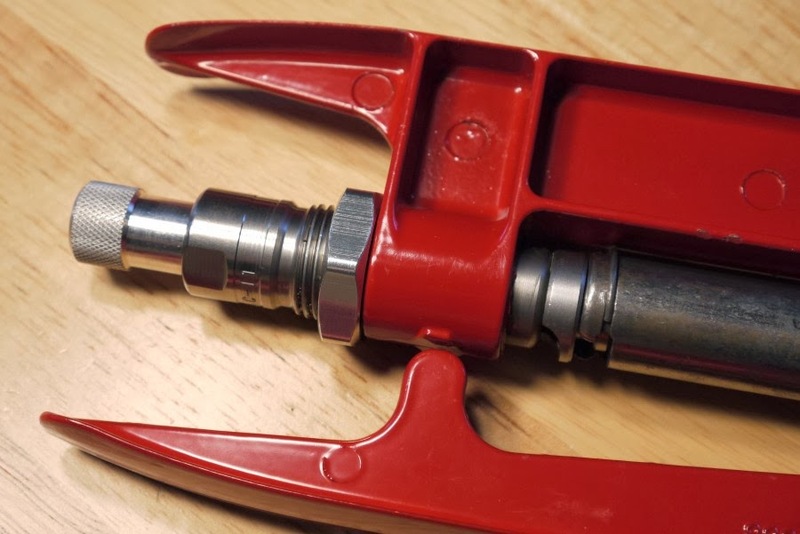 As the reloading kit is used, the cost is quickly recouped. 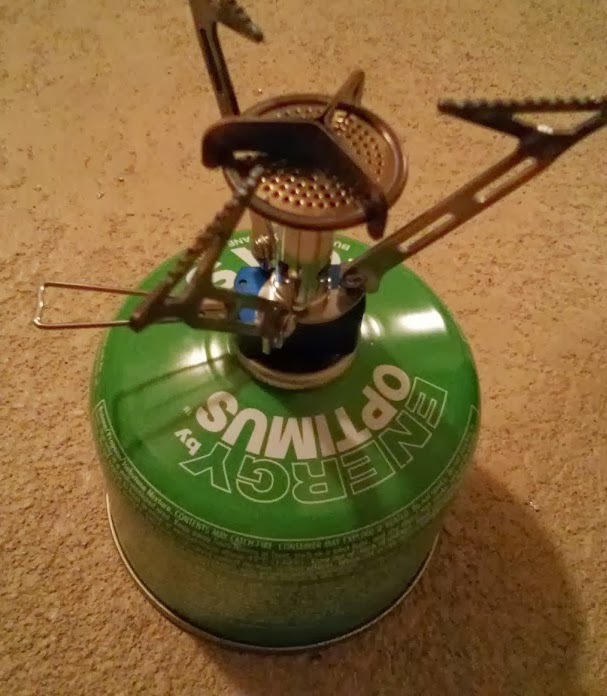 How cheap is reloading? Well, if you collect your used brass, and can get a supply of free lead (think used tire weights from an auto shop), then it can be as cheap as a few pennies for each round. Last time I checked, the cheapest I could get a box of 100 x 9mm rounds at Walmart was for around $30. That is 30 cents per round. You can then make up the cost of the kit by just reloading a couple thousand rounds. 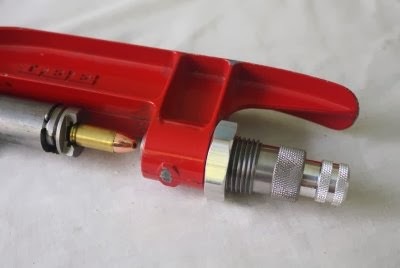 Reloading can almost bring the cost of practice firing a your handgun/rifle to the level of a .22. So what is involved? First, some terminology. Bullet (1) - The metal projectile. The diameter is measured in "Caliber" and weight measured in "grains". Commonly lead, copper or steel. For reloading we will use lead. Case/Shell (2) - The casing that holds the bullet. Commonly brass or steel. 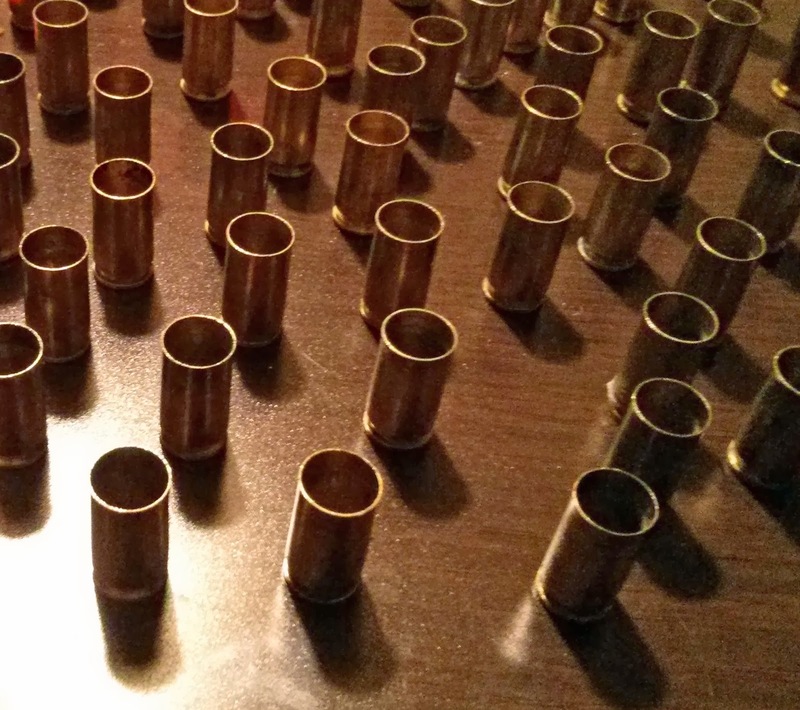 For reloading we will use brass casings. Powder (3) - The propellant used to propel the bullet forward. For reloading, we will use "smokeless powder". Rim (4) - The rim allows the extractor to grab and eject the spent cartridge. Primer (5) - The primary explosive that the firing pin will hit to ignite the powder. If you buy your bullets, then this step can be skipped. 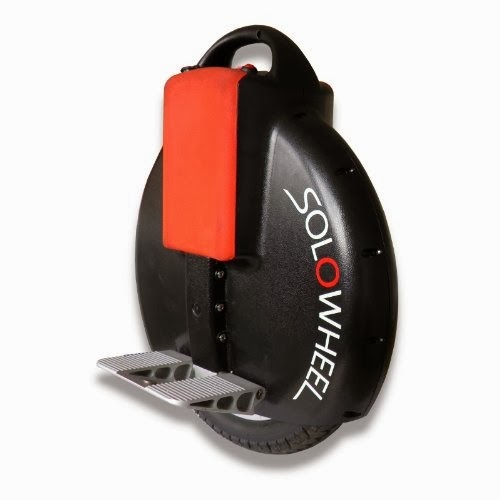 If you can get access to free lead (think used tire weights), this step does save quite a bit of money. This step unfortunately also happens to take the most time. 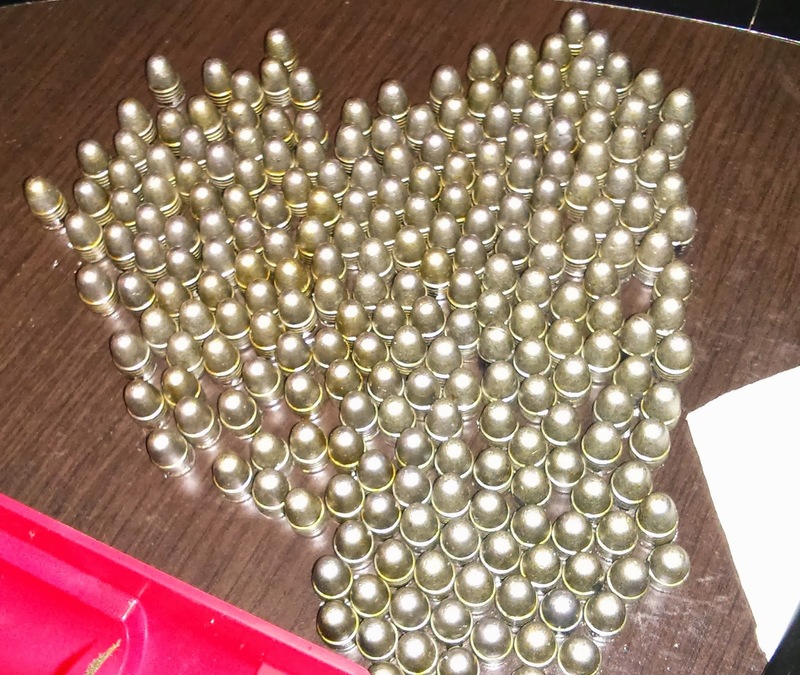 A visual inspection is done to remove any failed bullets. 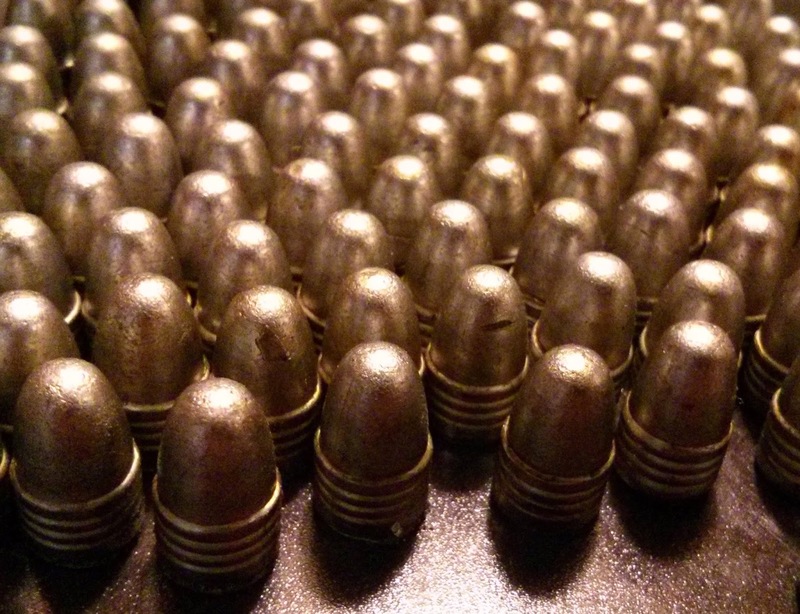 The bullets are then run through a bullet die to ensure proper sizing. A file and pliers is then used to remove any burrs. The bullets are finally dumped into a zip lock bag, with some lubricant. If you buy your casings this step can be skipped. 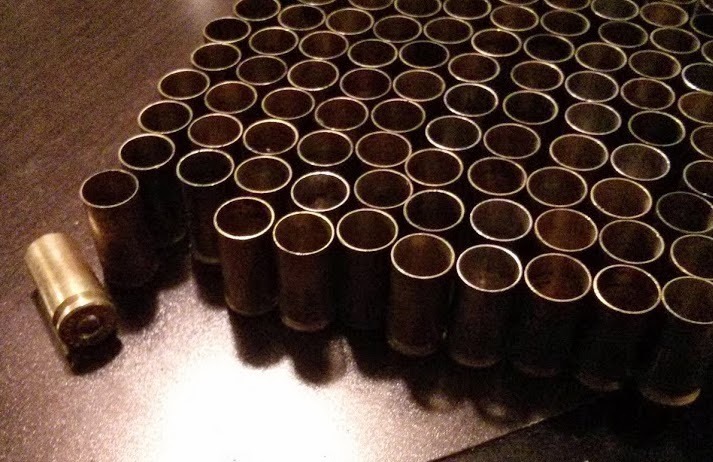 You have been collecting your spent brass, right? If not, you should start. 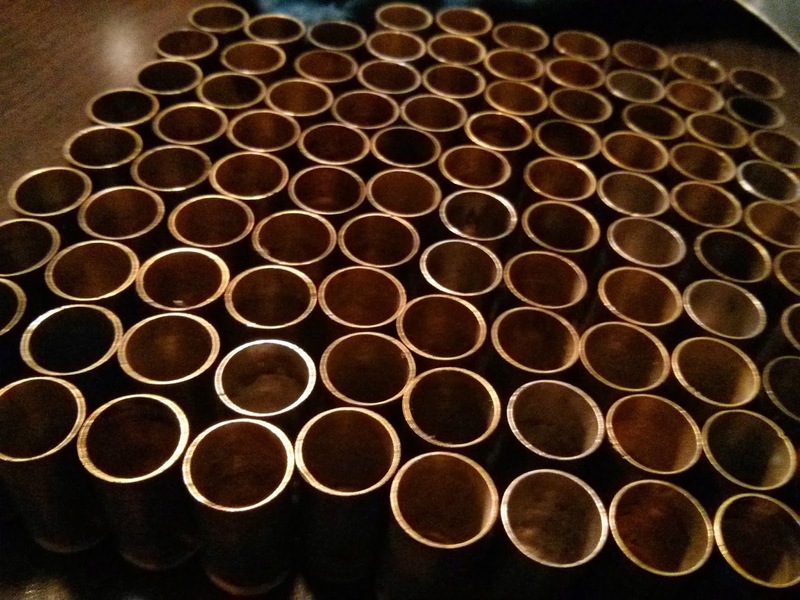 Your spent brass is what will supply this portion of the process. This is the second longest portion of the reloading process. 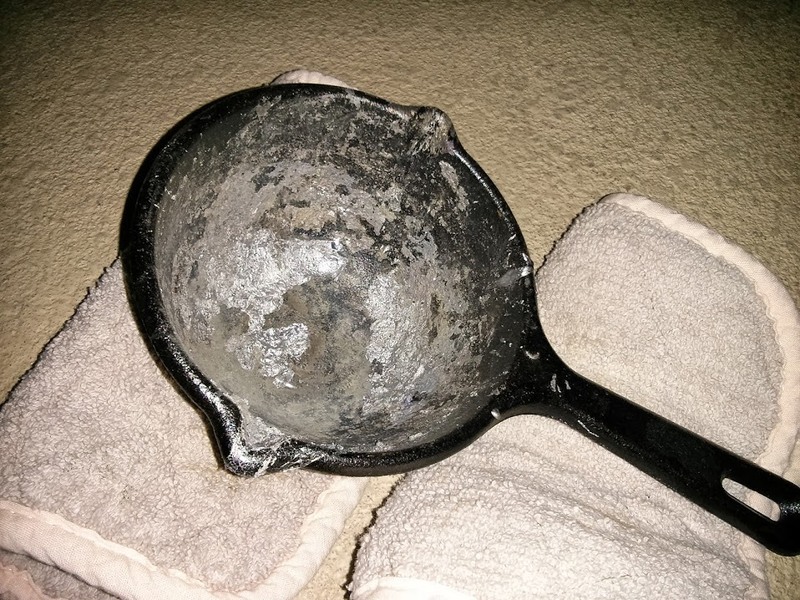 Clean up the shells, and remove any shells that have un-struck or funny looking primers. We will be removing the old primers, so you don't want any that may explode in your hands. Place the shells in the first sizing die (neck expanding die). The first sizing die will expand and shape (round) the shell and punch out the old spent primer. Oil and place the shell in the second sizing die (sizing die). The second sizing die will reduce the shells to the correct diameter. Next, a new primer will be added to the re-sized shells. This step is fairly quick. 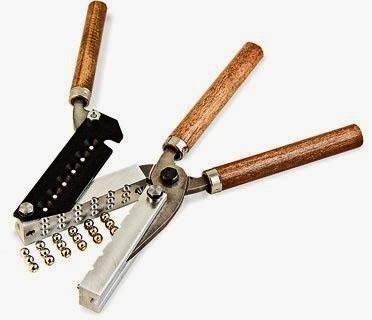 A hand primer tool can push through the hundred shells in a matter of minutes. Next we need to insert the proper amount of powder into the shell. Using scales, and a reference table, the powder measure tool is adjusted to dispense the appropriate amount of powder. Finally we need to seat the bullet into the shell and using the bullet seating die we crimp the shell to the bullet. Before storing your completed cartridges, they should have one final thin spray of lubrication. Now we are ready to take these fine pieces of workmanship out to the range and begin this whole process again from square one. 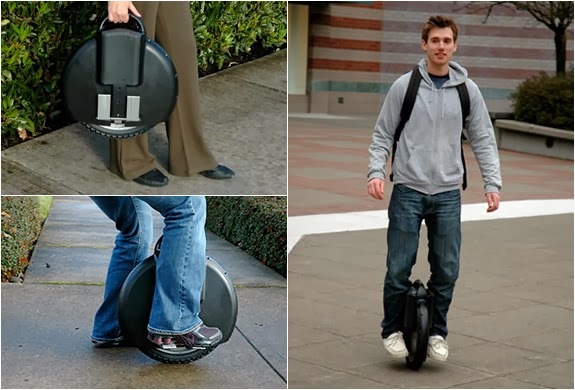 Let the cycle continue. SubRip is a "software program for Windows which "rips" (extracts) subtitles and their timings from video. SubRip is also the name of the widely used and broadly compatible subtitle text file format created by this software." SubRip files are named with an extension .srt. To have Plex Media Server work with SubRip (.srt) files, simply name the srt file the same as the movie file name with a '.eng.srt' (for English) extension. Plex will automatically pick up the Subtitle file on the next Library refresh. If you can't find the subtitle file online, and you have the DVD, the SubRip Windows software can actually extract the subtitles from the DVD. Unlike Closed Captions, Subtitles are not stored as text on DVDs, but as bitmap images. SubRip uses OCR technology to convert the images to text. This does require work on your part. As the OCR scanner finds new unrecognized characters it will ask you translate them. 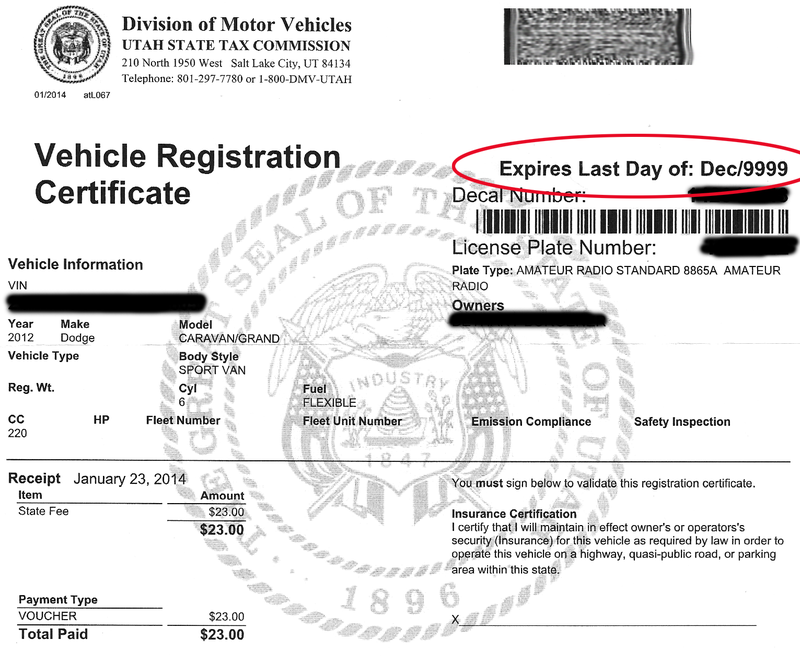 We must have won the car registration lottery. Our registration expires in 8,000 years? "Microsoft has named Satya Nadella, an executive in charge of the company's small but growing business of delivering software and services over the Internet, as its new CEO. Company founder Bill Gates is leaving the chairman role for a new role as technology adviser. The software company announced Tuesday that Nadella will replace Steve Ballmer, who said in August that he would leave the company within 12 months. Nadella will become only the third leader in the software giant's 38-year history, after Gates and Ballmer. Board member John Thompson will serve as Microsoft's new chairman. 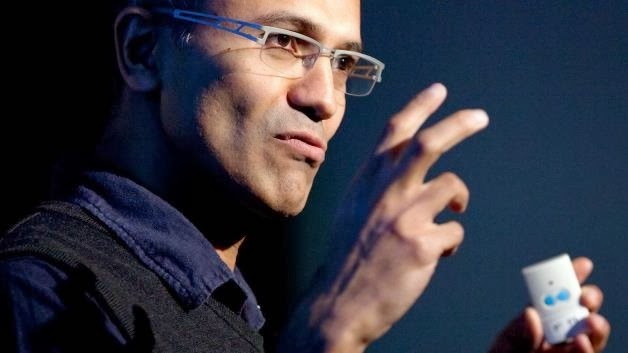 Born in Hyderabad, India in 1967, Nadella received a bachelor's degree in electrical engineering from Mangalore University, a master's degree in computer science from the University of Wisconsin, Milwaukee, and a master's of business administration from the University of Chicago." In celebration of Facebook's 10th anniversary (Feb 3rd), Facebook put together a personalized "'Look Back' compilation containing around 15 of a user's most-likes photos, statuses, and life events set to a catchy tune.". 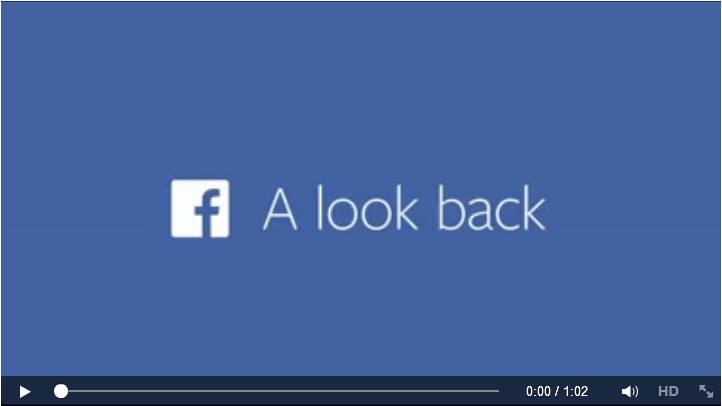 See your own "Look Back" video by visiting https://www.facebook.com/lookback/. Someone has way too much free time, but I applaud them for their creativity!